When I first heard about the Spoon and its various prototypes I was immediately intrigued. The idea of the Spoon was appealing to me because it is intended to be an uncompromised powder tool. 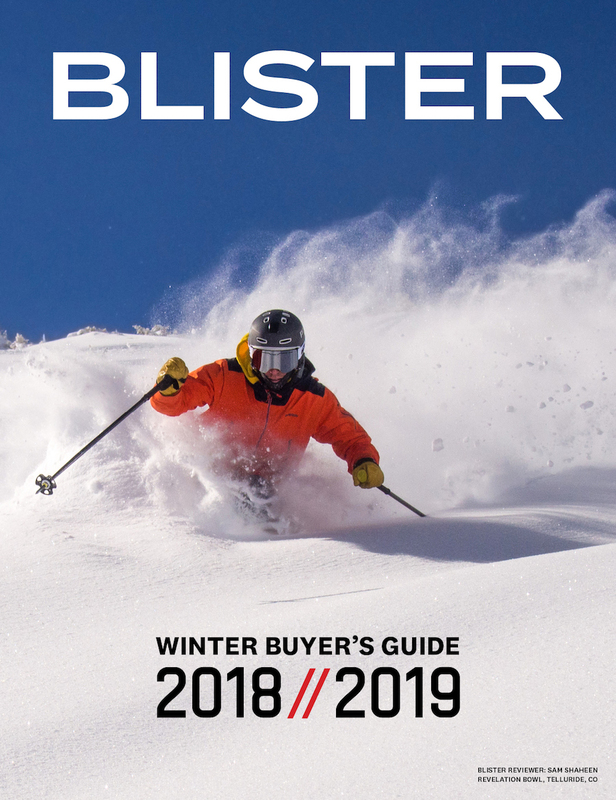 Almost every other ski manufacturer (Praxis and GaryWayne being notable exceptions) claims that even their fattest powder skis still retain good groomer performance or hard snow performance. 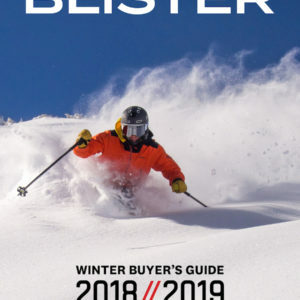 While this probably makes sense for a lot of skiers and ski companies, there are those of us out there who are looking for new sensations in deep snow skiing, versatility be damned. The first thing I noticed about the Spoon is that it has a softer flex than the DPS Lotus 138s and Lotus 120s I’ve skied in the past. I would describe the flex as relatively uniform from tip to tail, and slightly stiffer underfoot. My rough and subjective estimate is that it’s 10-15% softer than my 12/13 Lotus 138’s and about 25% softer than my 2009 White/Red pinstripe Flex 3 Lotus 138’s. For those less familiar with DPS skis, I’d say these are, overall, a moderately stiff ski to hand flex. The skis are still relatively new, and haven’t needed much more than some wax so far. The convex base on the tip was relatively easy to wax, and I don’t foresee issues with the edges. I doubt I’ll ever really touch the edges on the convex portion with a file, but if I do, I would probably check in with DPS HQ to make sure I’m doing it correctly. It appears as if the edges are beveled to nicely match the convex portions of the base. I’ve spent time on more than a dozen fat, rockered, powder-specific skis in the past few years and the DPS Spoon is the most fun and capable powder ski I’ve ridden so far. Because of the specialized nature of the Spoon, I will describe some of its characteristics in powder individually. I mentioned in my Lotus 138 review that, especially on lower-angle slopes, I had occurrences of pushing the tips into the snow resulting in the skis bogging down. Japan has a lot of lower angle (mid-30 degree) deep powder skiing and, with the 138’s or the Powderboards, this type of terrain favors a more neutral stance because of the ease with which the tips can be buried. Fast turns on the 12/13 138’s and the Powderboards are best accomplished by lateral weight shifts or quick pivots. While this type of skiing is effective and fun on the Spoons as well, I could push much harder into the shovels, enabling earlier, more powerful turn initiation. This allowed me to flex the ski into the top of turn to facilitate the sensation of carving powder and zip across the fall line in highspeed arcs. 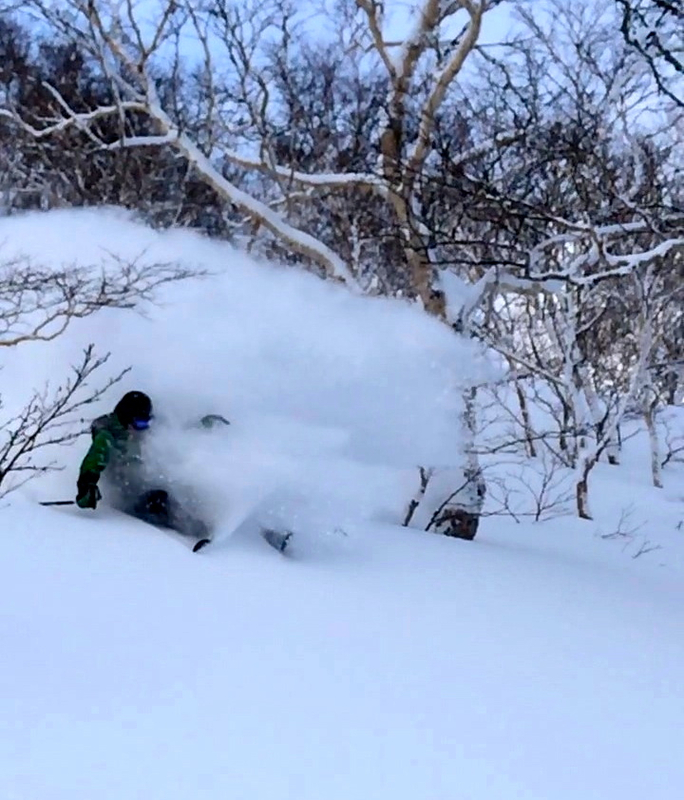 Paul Forward on the DPS Spoon, Hokkaido, Japan. I’m not sure if the extra float in the shovel is due in part to the convex base, but it is a remarkable difference compared to the Lotus 138 and Praxis Powderboards. 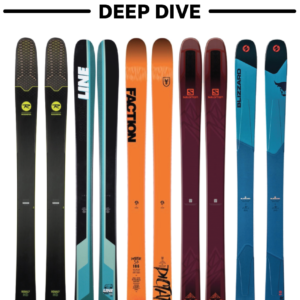 Even compared to more pintail-style powder skis like the DPS Lotus 120, DPS Lotus 120 Spoon, Black Diamond Megawatt, or Moment ComiKaze, the Spoon has significantly better float in light, deep snow. This was most evident to me after a day of riding the 189cm Lotus 120 Spoon in Japan, then switching back to the Spoon the next day. Both skis were great, but I floated higher and skied faster on the Spoon, and could definitely drive the tips harder. Great review! 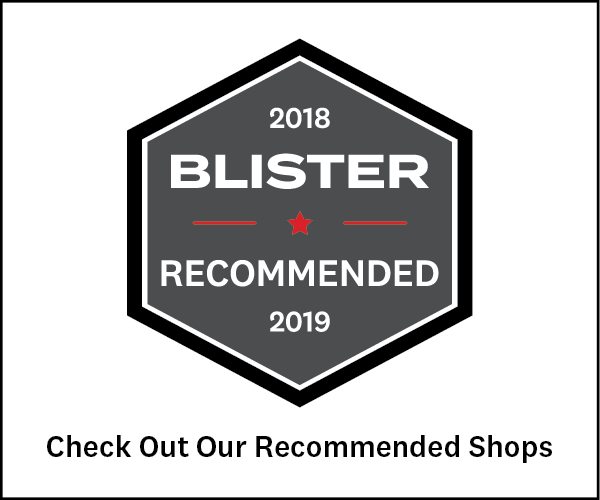 What caught my eye were your comments on the Salomon Rocker 2 122. I haven’t tried anything more radical than that, but that ski blew my mind with its quickness and fun in soft snow. For the more “traditional” skis, would you say the R2 is one of the most pivoty and fun, like some of these more specialized skis? I also found I could rage through soft bumps and so forth on the R2. Sadly, my lifestyle right now won’t permit a “powder only” ski, but it’s great to know these are out there. Thanks for the kind words. The Rocker 2 122 is definitely a fun ski. I just spent the last week on a pair of the 192’s that I started using occasionally last year. First couple of days were at Jackson Hole skiing inbounds powdays and were relatively quick in the bumps and variable wind affected and warm snow some patches of nice powder. In those kinds of conditions the tips fold when pushed at speed which can be unsettling when skiing fast. Yesterday I had them on some chalky windblown snow at Alta and enjoyed them but could have gone for a stiffer ski there as well when I hit more tracked up areas. I flew home early this morning and spent the day in the Heli working for Chugach Powder Guides skiing low angle knee deep blower pow. In these conditions I would have rather had the Spoons or 138’s but the 122’s are definitely a very loose, pivoty ski and do better in this kind of stuff than any other more traditional shaped ski I’ve used. They definitely have their limitations in firmer snow. I hope that helps. Overall, a super fun ski. very nice review, close to the french one I rode this fall. but in the alps sometimes pow is heavier and even if it’s perfect untracked the dps doesn’t shine there: lack of speed and stability, there a flatter camber works better. Thanks for sharing your experiences with the Spoon. I haven’t skied them in a lot of heavier, untracked snow but thus far they’ve been great in anything smooth. I could see that if the snow is really firm such as heavily wind affected pow, that a stiffer, narrower, less rockered ski like the Renegade would be more fun in that kind of stuff. Thanks for the thorough review. I am very interested in your thoughts on a comparo of the 138 Pure vs Spoon for AT pow setup. I ski the Vulcan on Squad 7’s as my daily driver but only have an 188cm Hi5 for touring. The zone I’m looking at is Rockies and occasional AK use. Just so you know where I started from on this AT powski question, I was thinking Hang5 or 191 V-Werks with Vipec’s. Having owned Prophet 130’s and even a pair of A-Lotta’s back in the day, I am concerned about 148mm underfoot in a tech binding. I tried my 196 Bodacious last year in Haines on a wind effected pow day with the Vulcans and found it too much for me and my 155lb, 5’10” frame. Regarding tech bindings on super fat skis: I’m also a little nervous about it and have kicked out of my 138’s, Spoons, and Powderboards with tech bindings when hitting firmer snow with the toes unlocked. As a result I do ski them locked most of the time and have to accept the potential safety issues that entails. In soft snow it hasn’t been an issue but edging them hard in firmer stuff has caused a few releases for me. Overall I’m still very pleased with the combination and, until I get to try some of the newer tech binding iterations, I’ll continue to ski with this setup for any non-mechanized skiing. I haven’t used the Volkl or La Sportiva skis you mention. I suspect that they will be very different than the spoon in the ways I described in my review comparing other more traditional skis. For me, it’s worth sacrificing versatility for supreme pow performance. I was skiing knee deep low density snow all day today from the helicopter on my Rocker 2 122’s and really wished I had a pair of spoons with alpine bindings on them to use instead. Very good review. 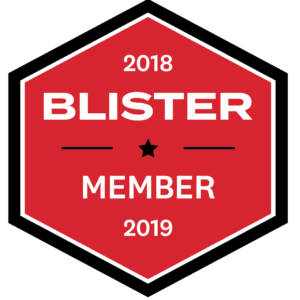 I own a Spoon and i found exactly the same feeling when riding the Spoon during a week in January at Mustang Powder cat ski and a week before at Whitefish Montana… It was a fantastic feeling versus my Rossignol squad 7. Right on Gross. Thanks for your comments and glad you’re loving your skis and finding some good snow. Let us know how you like the Spoons during your trip to Cordova. I’m hoping to get a lot more big Alaska ski days on mine over the next few months. K just finished Day 1 on the Spoon, skiing it in the deep powder conditions it was designed for. I had skied Pontoons, Hellbents, A-lotta’s and used to own Prophet 130’s a long time ago, but still had some reservations about the Spoon. For most skiing I will probably always prefer skis with some camber since they track harder. But unlike the Hellbents which I really thought we’re only good for wiggling down pillow lines, the Spoons can actually be skied hard. They aren’t going to give the relaxed feels like its on rails, track mode of a more conventional ski like an Atlas or Bodacious, but the compensation is they are SO much more flickable in tighter lines. Even compared to my Squad 7’s which I’ll still resort to when float isn’t the key thing I’m looking for, the Spoon lets you turn everywhere and at even lower speed. Hi Jason, Glad to hear you’ve been having a blast on your Spoons. Your experience with them is very similar to mine. Thanks for the comments. I forgot to say after my one day on the ski that your review seems spot on. For the past 4-5 years the RC112 was my go to ski for soft and the Atlas and Bodacious for deep. Thanks to Blister I now ski Squad 7’s for soft and from now on Spoons for deep. If it wasn’t for your reviews I wouldn’t have made the switch as fast, maybe not at all. I still ski the RC’s on occasion and the 196 Bodacious is fun too for a certain kind of skiing but the Atlas’s are DONE. For a fat AT I would definitely lean to the 138 at this point. And for AK I’m probably sticking with the Squad7 due to its versatility. DPS seems to have something only surfboards have had until now. Universally surfers and shapers focus on the rails of a board, soft and rolled in the nose, harder and chined or edged in the tail. It’s what let’s a board be loose in chop or foam and not catch the nose, what skiers called hookiness. I’m sure the DPS people use the same terms or at least concepts when they talk about “spoon”. It was actually the influential surfer/designer/photog George Greenough who invented the spoon, he even called it that. Paul what about mounting point? I am planning on putting a tech binding on my pair but was thinking 1.75mm forward. The skis don’t bog and the recommended line is pretty far back when you look at the overall ski surface area distribution. Want to repeat my question about mounting. I still have a demo binding on mine so I can play with the mount. I have been happy enough at 1 cm forward of center but still getting a bit of wheelie on landings. I am planning on going to 2 cm + but may not get to ski the Spoon again this season. I debated about getting the Spoons for the 13/14 season (I’m not getting any younger), and in the end I landed a pair in the limited edition Blue/White finish. I centre mounted them with Marker SP Lords, so that I could use one pair of boots with tech soles for these and my DPS Wailer RP112’s with Dynafit Radicals. I will freely admit that I am not a great skier, but the Spoon’s gave me by a long way the best powder skiing experience I have ever had (Heli skiing in Canada, and general off piste in Switzerland). The DPS website states these are deep powder only skis (where they of course excel), but I found they can be used anywhere with fresh snow. The superb float means that a simple knee flex can lift you out of the snow. The only issues I had, which were also highlighted in the review, were with bumpy hard pack where they tend to have a mind of their own, and turning through heavily tracked deep snow, where you have to aim of the remaining snow blocks. One strange effect only experienced when traversing of steep slopes, was one of the feeling that the tails of your skis were being grabbed. This was caused by the large tail rocker digging in and releasing from the snow pack. But I am sure this would occur with any ski with extreme tail rocker. Any further comment Paul on mounting point? Hi Jason, The folks at DPS suggested I mount boot center the recommended midsole mark on the ski. I mounted there and have been very happy with it. If I mounted up another pair I would not hesitate to do the same again. Enjoy the skis! You’ve got some great comments on the spoon. I’m close to hitting the “buy” button on a pair of Lotus 138 Pure 3 spoons ( grape color). I was wondering if you had a chance to test this 14/15 model? For reference I have over 200 days on two megawatts, and initially looked into the lotus 120, but I want a full rocketed ski and the Spoon and new 138 seem to be the only models from DPS. i would be interested in knowing if the flex is still stiffer than the Spoon also. Any comments would be greatly appreciated! Hi Gary, I have skied extensively on the 14/15 138 Spoon and use it almost every day skiing while heli guiding in Alaska. The flex is definitely stiffer on my Purple 138 spoons than on my Grey Spoons. My Spoons are from the first production year though, and I’m not sure if the flex has changed since then. Regardless of that, the 138 Spoon is the best all around Spatula-type ski I have used. There are definitely days where I grab a pair of more traditional shaped powder skis but, overall, the 138 is my favorite pow ski for most Alaska conditions and is almost as good as the Spoon in super deep, Japan style powder. The 120 Spoon, which I’ve also skied a lot, is a good ski, but isn’t even close as a pow surfer compared to the 138 or Spoon in my opinion. If you like this style of ski, I think you will be very pleased with the big purple 138 Spoons. I’ve got a few days of skiing under my belt with the Lotus 138 Pure 3 Spoon, 182 length. OMG!!! This ski is by far the most fun I’ve had on skis- ever!! I can’t believe how smooth they are and how easy it is to worm your way through crud- the powder experience not withstanding. Best ski I’ve ever been on!! Michael, I’m 6′ 2″& 190lbs. For open terrain I could’ve gone with the longer ski, but I ski a lot of tight glades in the east, so opted for the 182s. On spring corn I’ve been skiing on black diamond carbon megawatts. They’re lighter for boot packing and skinning, but when the skis sink into snow the Lotus is my go to ski! Hope this helps. Thank you for this excellent review, have you had the chance to review the Lotus 138 Spoon ? i’m hesitating between the Lotus 138 Spoon and the Spoon. I’m planning on skiing exclusively in the Backcountry with tech bindings via Skins mostly. So untracked powder snow will be the main target for this ski. Any recommendation ? What do you think ? I wrote this review in 2014 and then got another pair of them last year and everything I said in 2014 still holds true about this ski. For pow touring and Japan type skiing, the Spoon is ridiculously fun. In Alaska, where I live year round and heli guide full time, I rarely take the Spoons out but spend a ton of time on the 138 Spoon (the purple ones). The 138 Spoon also isn’t the most versatile ski but it handles everything pretty well and is a pretty remarkable heli ski for much of the season. For April, especially later in the month, when the runouts can be a little rough at times and we’re skiing big steep runs all the time, I usually go with a more traditional shaped ski. Stay tuned for our upcoming flash review of the Lotus 124 Spoon in the new Alchemist construction. So far, they seem to be a fun and versatile pow ski. I own the 15/16 Spoons (newer version) and they weigh around 2300 g per ski, so about 200 g heavier than the older Spoons. I’ve held the older Spoons in my hand in a shop and flexed them. As far as I can remember, the rocker of the older version seemed more dramatic and they flexed a bit softer. The flex of the newer model seems more comparable to the Lotus 138 Spoon, which I also have. @Paul: I know you said that everything you wrote about the Spoon initially, still holds true. But is there any difference between the older and newer version? I would have guessed that the newer Spoon, with its heavier weight and less dramatic rocker, skis a bit better in variable / tracked conditions (but still doesn’t ski great obviously). Also, is the newer Spoon as loose / drifty as the older one? Thanks for the response Paul – it sounds like the 138 Spoon is more what I’m after. 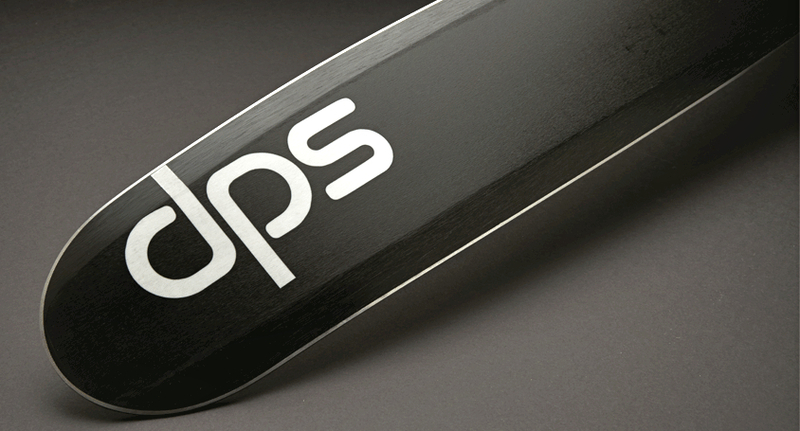 I’ve only recently come across DPS skis and am now really considering getting a pair based on the reviews I’m seeing. Just to give you an idea of what I’m looking for – because I instructed in Colorado for a few years I always skied on traditional frontside all mountain skis and just took them into backcountry and powder (ie used them as a one-ski quiver) on days off. I had my first trip to AK last year (Alyeska followed by Points North) and figured I needed something wider and ended up going with the Blizzard Gunsmokes (with pivot 19’s which I now think was a mistake). I found these fine at Alyeska in the variable conditions there but when I was out in the heli areas at points north I found them two narrow and to be honest not as light and responsive as I hoped. I also probably needed something more directional now that I’m 38 and not 28 anymore! I’ve been looking around online (living in Australia doesn’t really enable me to try in advance) for a while for my next AK trip and had a shortlist of the Black Crows Nocta, Rossignol Super 7 HD and maybe even the Line Pescado but now the DPS Lotus 138 Spoon has moved to the top of the list. Ultimately I’d love something that’s great for Alaska Heli but can also translate to resort skiing when there’s been a good dump – do you think I should also look at the new Alchemist 124 Spoon you mentioned or the 124 Spoon Pure3 (2017) or even the Powderworks Lotus 124 (2016)? Sorry, I know this is a really long post and maybe not easy to answer so really appreciate your help! Hi Paul just own a pair of Spoon 150, could you give me an advice on which blindings to mount that ski? I’ve read that you put a pin blindings on that ski in your review but in the end of the Alaska skiing paragraph you said that you are considering to put an alpine blindings on. 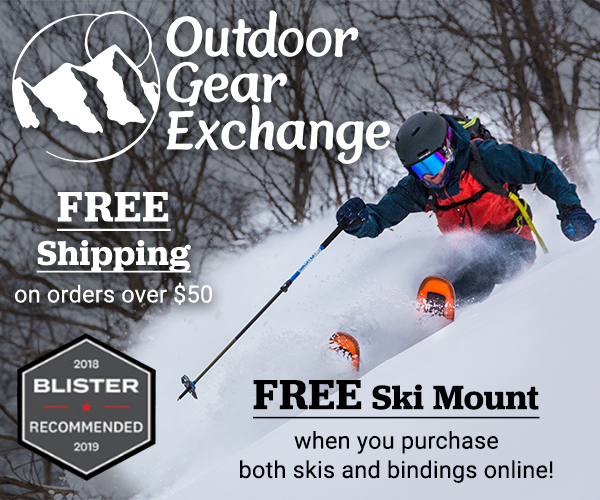 I’m in doubt between a very light pin blindings, only compatible with touring boots like ATK FREERAIDER 14 2.0 and a blindings like MARKER TOUR/BARON or SALOMON S-LAB SHIFT that are compatible with touring and alpine boots, but are very heavy compared to the ATK. I really like how my Vulcan perform skiing downhill but they are still incomparable with the precision and support that my Alpime Boots gave me. At the same time I don’t want to put on the SPOON an heavy blindings that maybe can change the character of the ski in term of floatation. Ps: I have a pair of Head B3 RD and a pair of Dynafit Vulcan 2016 carbon version. Hi Vello, I actually have two pairs of them, one with STH 16’s and another with Dynafit FT 12’s. I’ve put way more time in on the Dynafit pair. Even for heli skiing the days where I prefer them over the 138’s or more traditional skis like the 124’s aren’t super common. I use them most for storm day touring, Japan touring and heli and cat days where there’s not much chance of hitting any firm snow. Also, for deep powder skiing I really don’t feel like you need a super stiff boot to drive these things and have never had any issues skiing them with Vulcans. I’ve even messed around with much softer, lighter boots and they do okay as well. I’m not sure what you mean by heavy bindings affecting the float of the ski. It’s hard to imagine that binding weight is much factor for ski floatation. It might affect swing weight a little but even that is quite minimal. The S-Lab Shift is an interesting new binding and could be a cool option for a ski like this because you could still take them out for a heli or cat day with your Head’s and maintain good touring with your Vulcans. Initial reviews are positive but they’re still very new. You’ll also most likely have to wait until next fall to get on a pair. I’m on the new Lotus 124 Alchemists which are great! There’s a pair of Spoons available 2nd hand and i’m tempted for a surfier feel on the big powder days. Are they significantly better in those conditions?